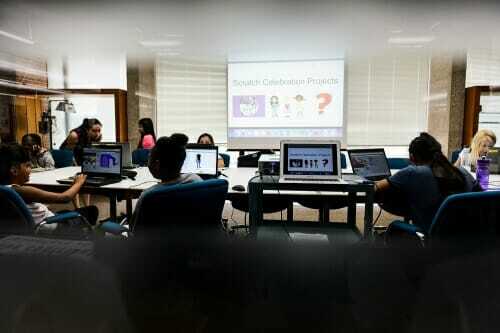 The room is full of fourth-to-sixth-grade girls talking, laughing and programming on laptops. The big day is just around the corner, and they are putting the finishing touches on the projects they have worked on for nearly eight weeks this summer. Like the robot that 10-year-old Juniper Kauer programmed to walk around the room. “Instead of making characters move on a screen, you control how the robot moves,” she explains, before going on to describe, with a smile, a movie she created in which two characters tell each other knock-knock jokes. Kauer and her 14 classmates are part of a course called “RoboSmarts: AI and the World,” hosted on the University of Wisconsin–Madison campus by the Madison-based STEM education non-profit group, Maydm. On August 7, from 2–3 P.M., they will showcase their hard work for the Madison community. To attend the showcase, which will take place in room 2235 of Nancy Nichols Hall (the School of Human Ecology) at 1300 Linden Drive, Madison, Wisconsin, 53706, please contact Maydm at 608-421-2425 or email hello@maydm.org. The course is also co-sponsored by 100+ Women Who Care, the UW–Madison Computer Sciences Department, Google, US Bank, Widen Enterprises, and the UW–Madison 4W Initiative. 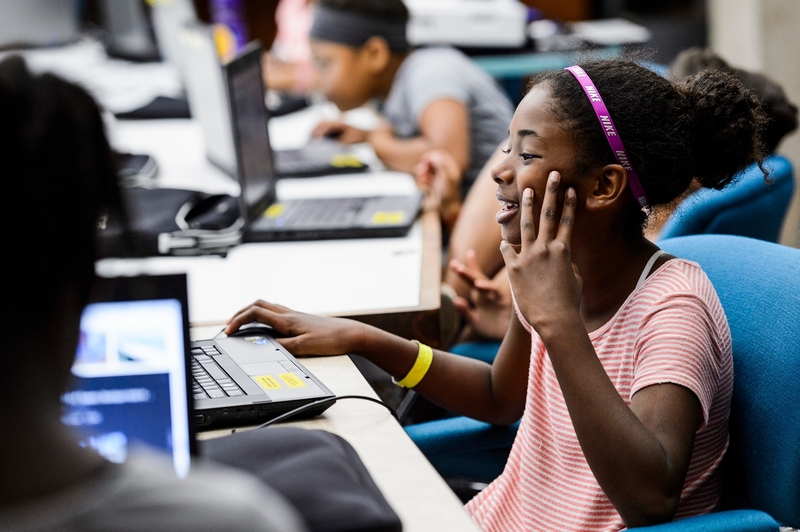 “One of the goals of the class is to help these girls start identifying themselves as belonging in the STEM world,” says Maydm’s Executive Director, Winnie Karanja. The acronym STEM stands for science, technology, engineering and math—fields which have traditionally and stereotypically been more closely associated with men than with women. 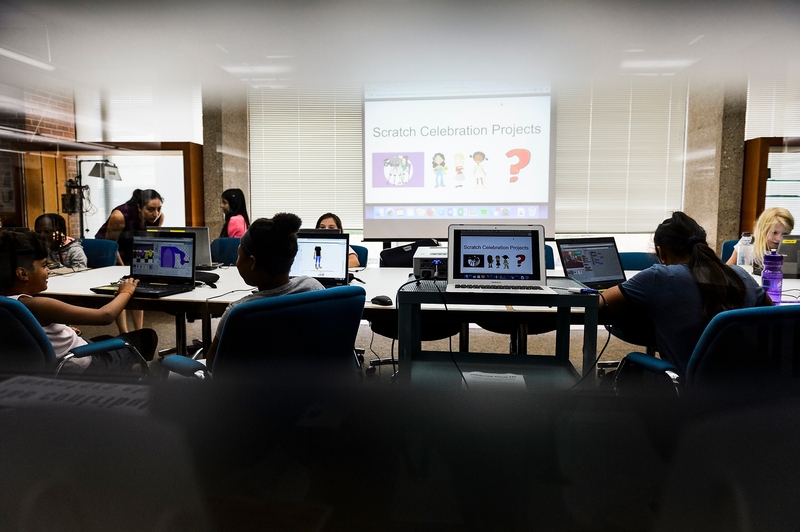 Each class day, the students started out by watching a video demonstrating different ways in which technology benefits the world, explains Valeria Martinez, Maydm Community and Programs Liaison. 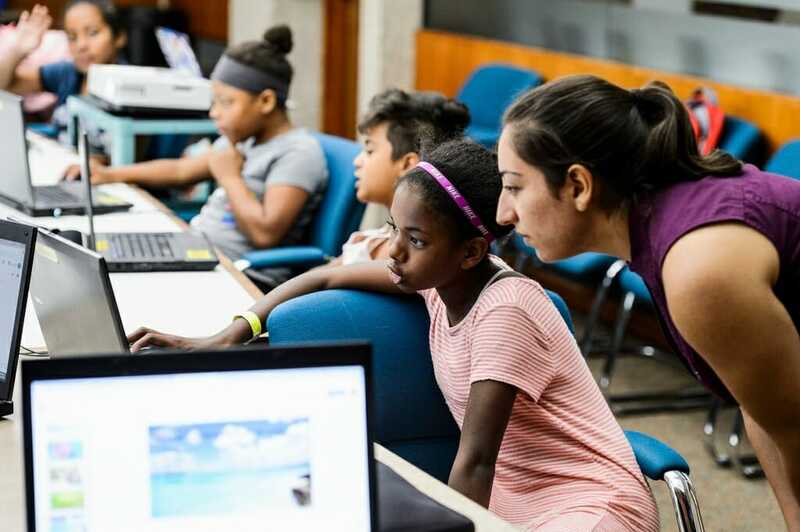 A number of mentors, including some from American Family Insurance, then worked with students to ensure they received the one-on-one help they needed as they learned more about artificial intelligence (AI), programming and robotics and tackled their projects. 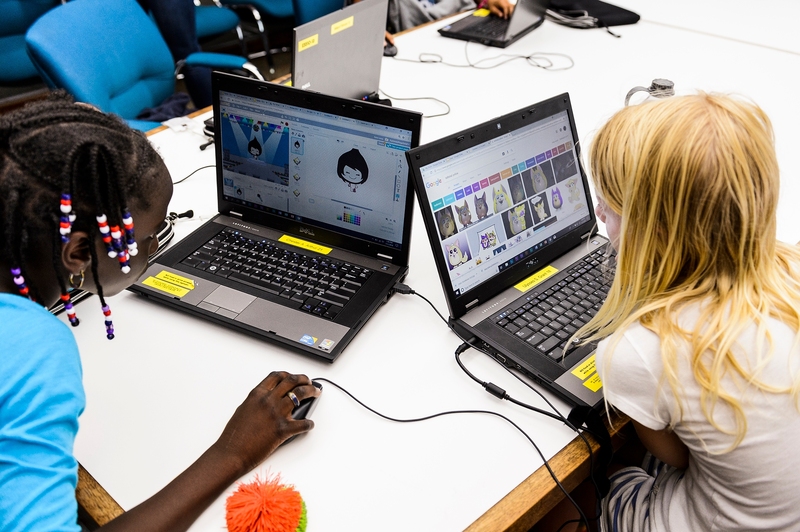 One of their favorite tools was Scratch, a free, online programming community from the Massachusetts Institute of Technology Media Lab’s Lifelong Kindergarten Group. 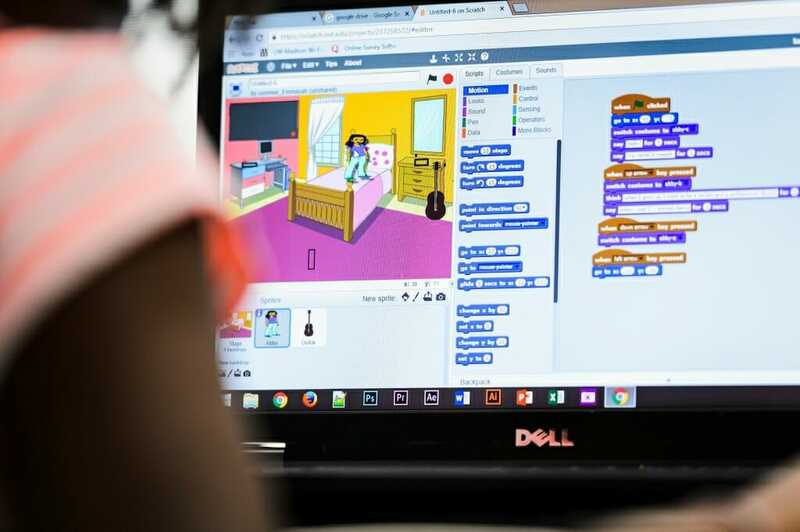 With Scratch, the girls were able to use block coding to create their own characters, stories, movies and music videos. For instance, middle-schooler Shya Washington created a variety of sea characters for a movie she made called “Fish Party.” A nine-year-old participant who didn’t want to be named (cybersecurity was, after all, a topic of the class) created a presentation she calls “All About Me,” which focuses on her love of dance, which began at age 3. 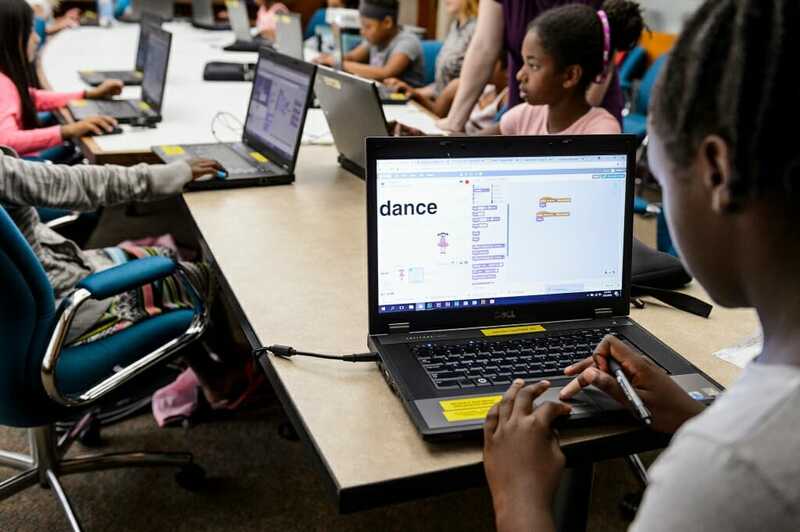 “Most of these girls had never seen (Scratch) before, so the progress they’ve made is incredible, and now they’re doing complicated coding,” says Piper Lincoln, a UW–Madison undergraduate student majoring in aerospace engineering and minoring in math and computer science. Lincoln has served as the main instructor for the class, and she has loved building relationships with the students. She has watched how they interact with each other and witnessed those moments when a concept takes root in their minds.